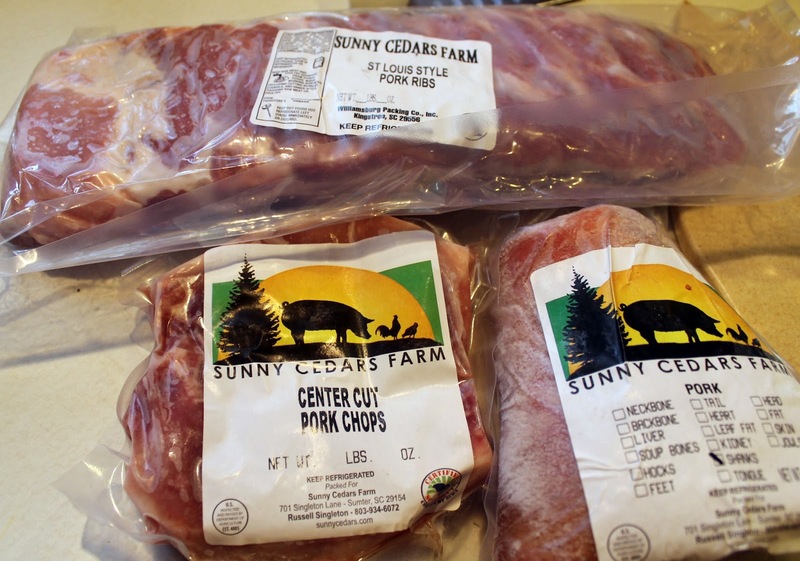 One of the very first farms I ever visited when I began my quest for local, pasture raised meats and products from small, local family farms was Sunny Cedars Farm. It was an eye-opening experience, and I've been friends with the farm owners ever since. Pigs raised humanely on pasture with no antibiotics or added growth hormones is most definitely not the white meat. 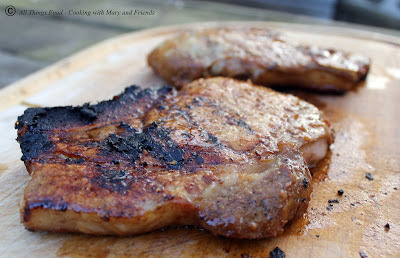 These pork chops are a rosy red color, tender and delicious. 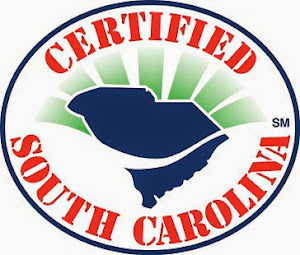 If you ever have a chance, do yourself a favor and seek out a local farm to buy your meat from ... I think you'll be very happy you did. Wash 2-4 pork chops and pat dry. Put in a large food storage bag. Combine the remaining ingredients and pour over the chops. Seal the bag and turn to coat the pork chops. 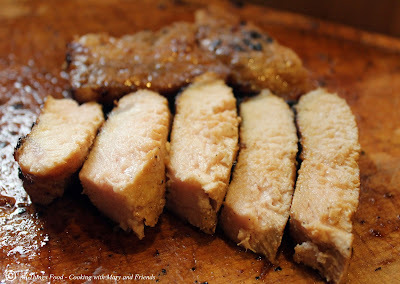 Refrigerate for 3 to 6 hours, turning occasionally (it's alright if you have less time, but best to marinate at least 1 hour minimum for optimum flavor). 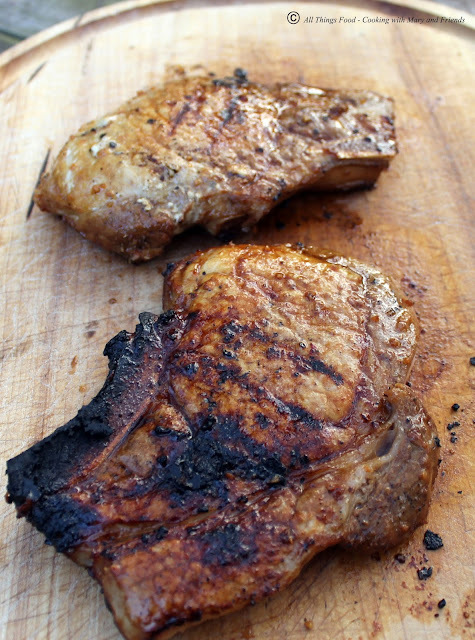 Grill the chops over direct high heat for 5-6 minutes on each side or until the chops register a minimum of 145 degrees on an instant read thermometer. 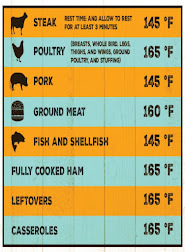 Remove from heat and rest 3-5 minutes. Serve while hot with your favorite side dishes.